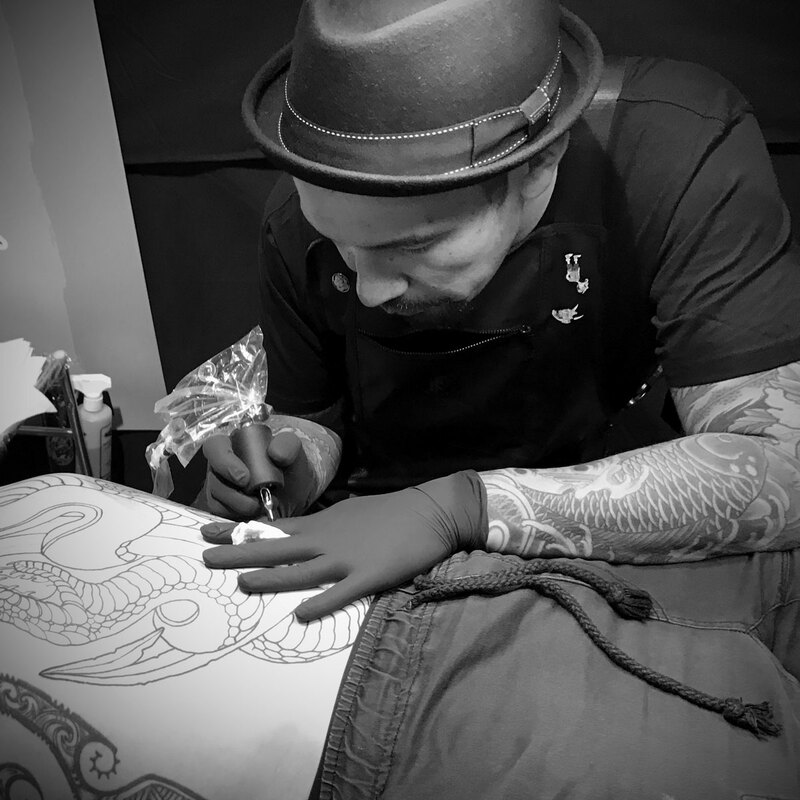 Having grown up in a family of professional artists, Enku went on to complete a diploma of design which saw him through nearly a decade of design work in the surf and skate brand industry. 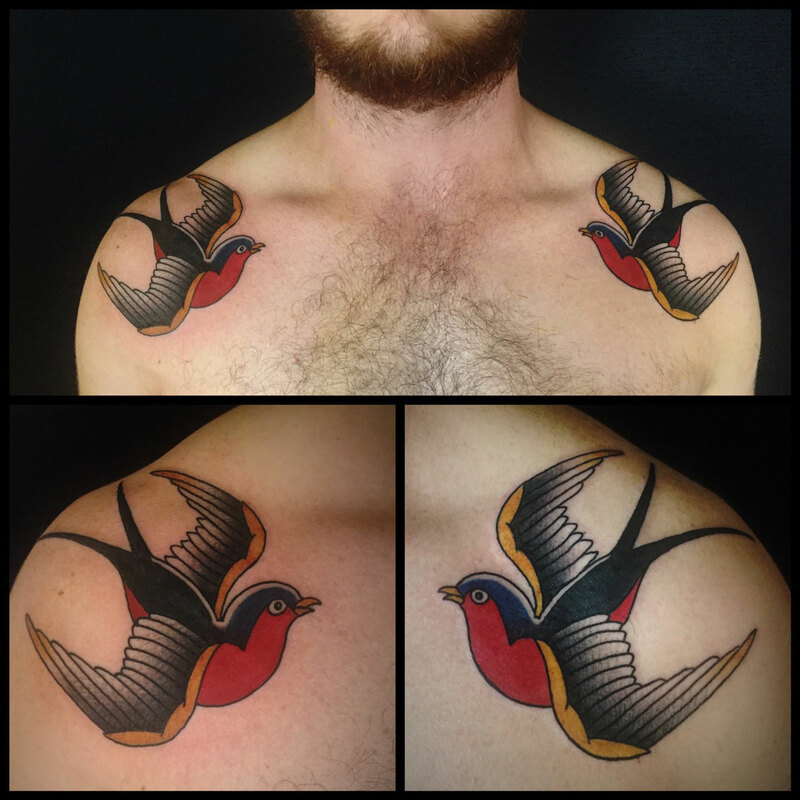 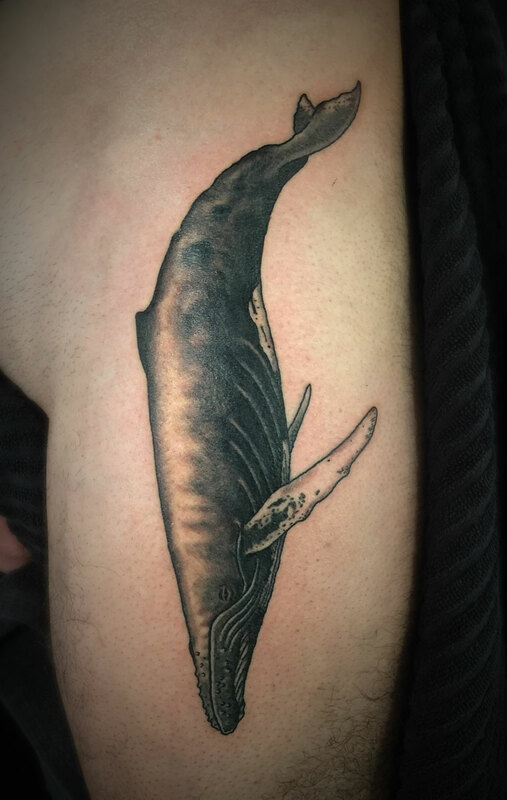 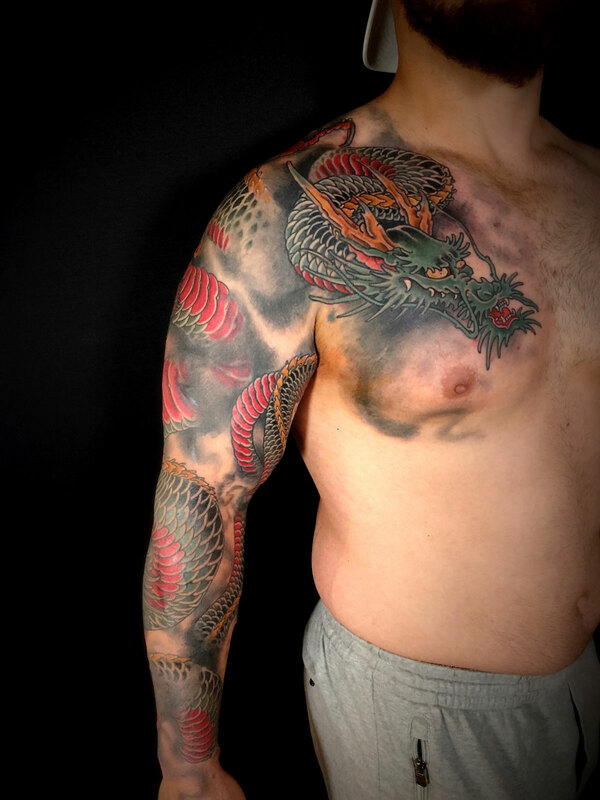 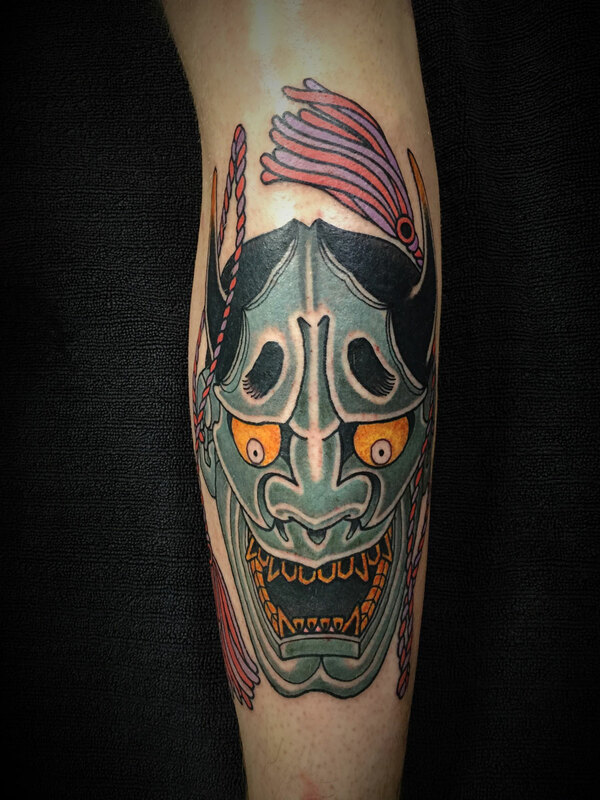 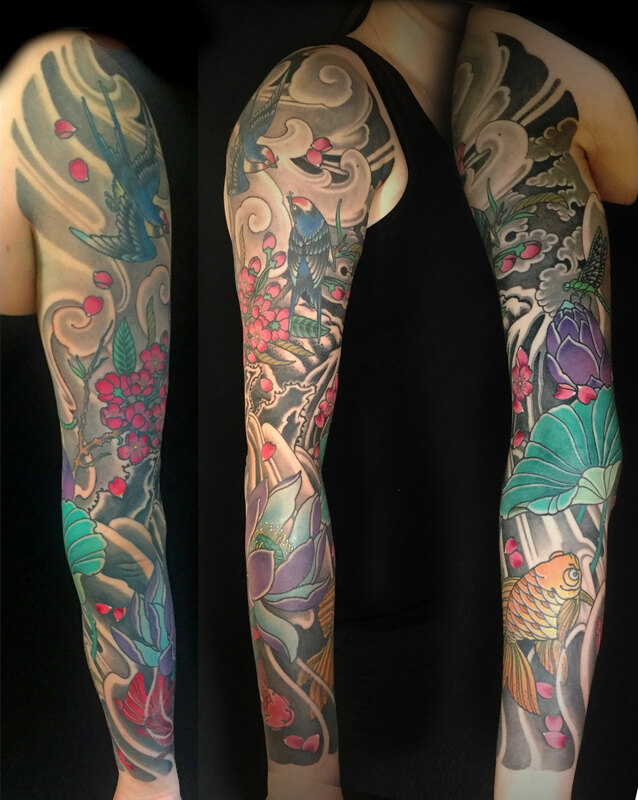 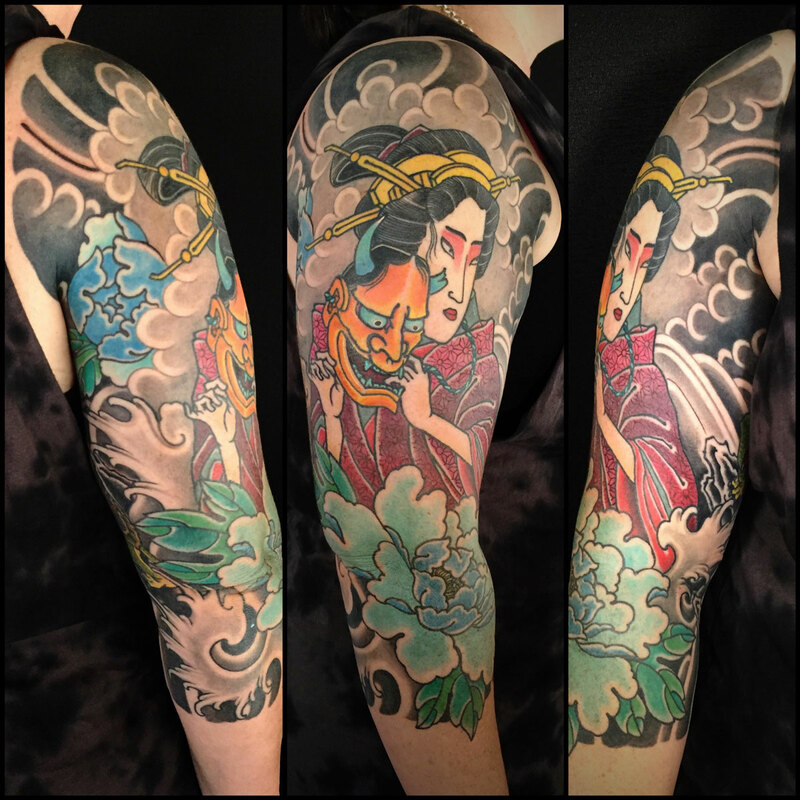 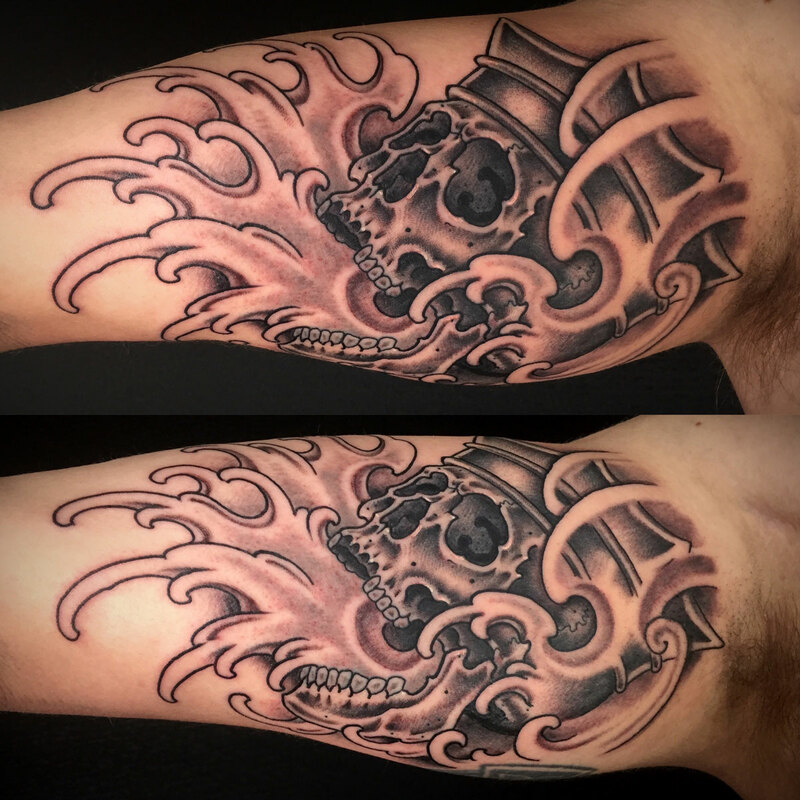 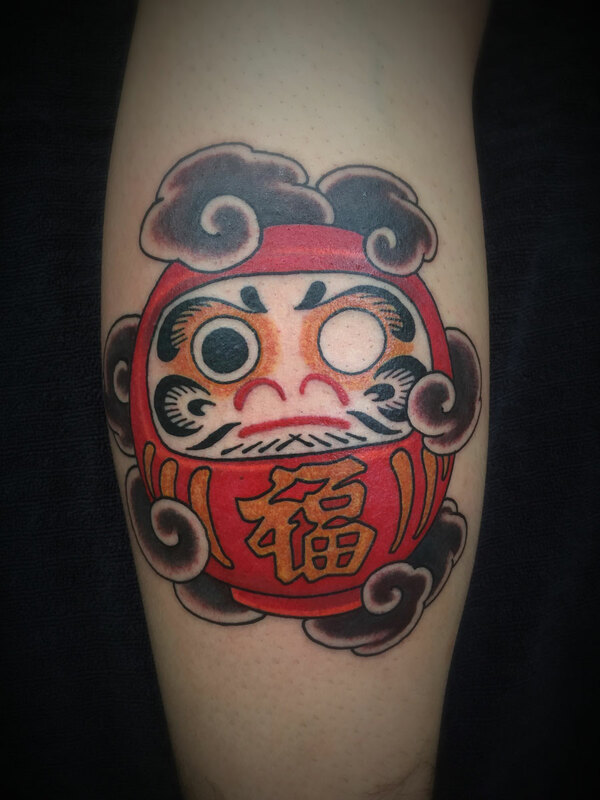 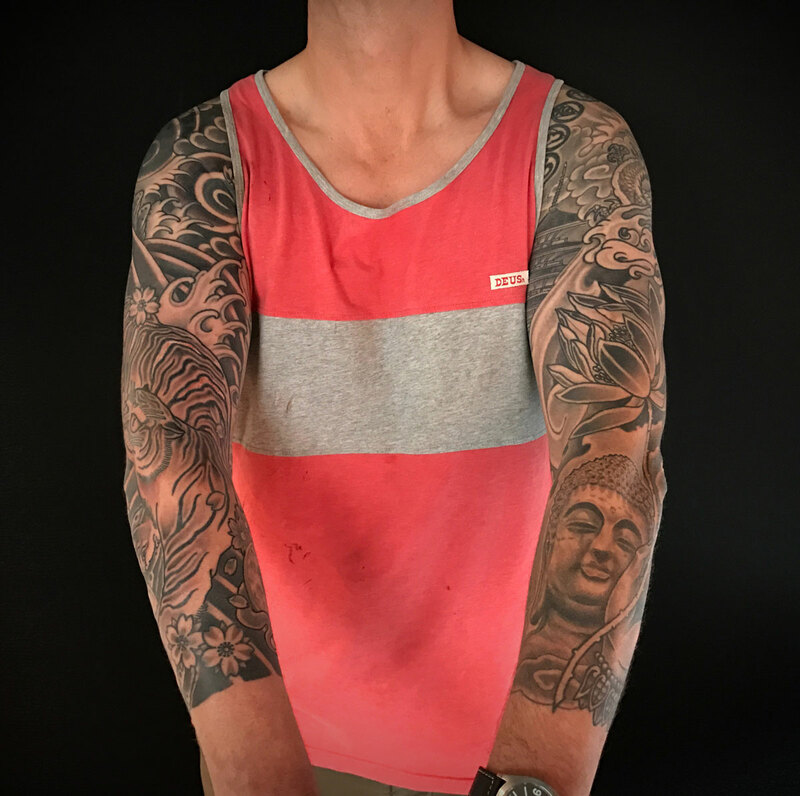 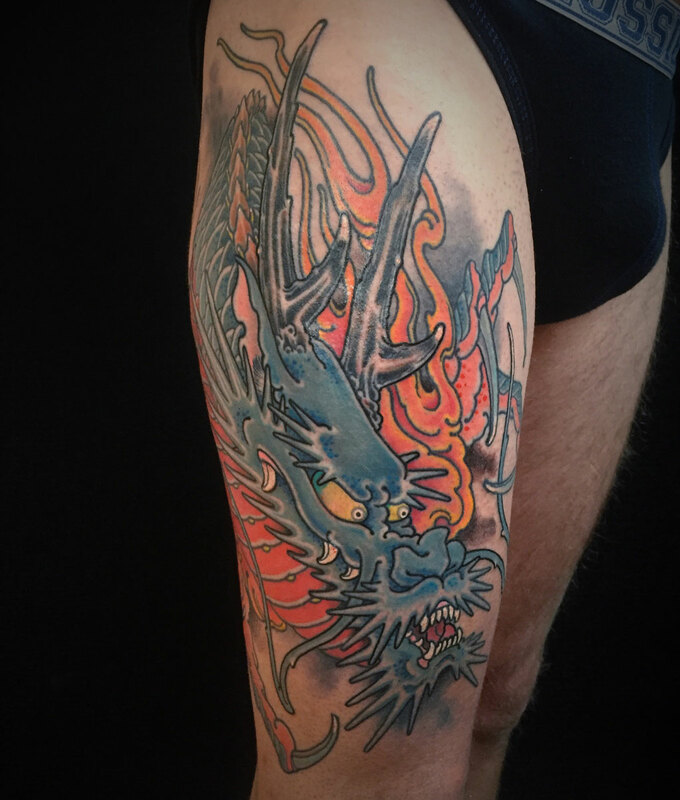 In 2009, he made the decision to move into tattooing, and has carved out a name for himself doing Japanese style tattoos. 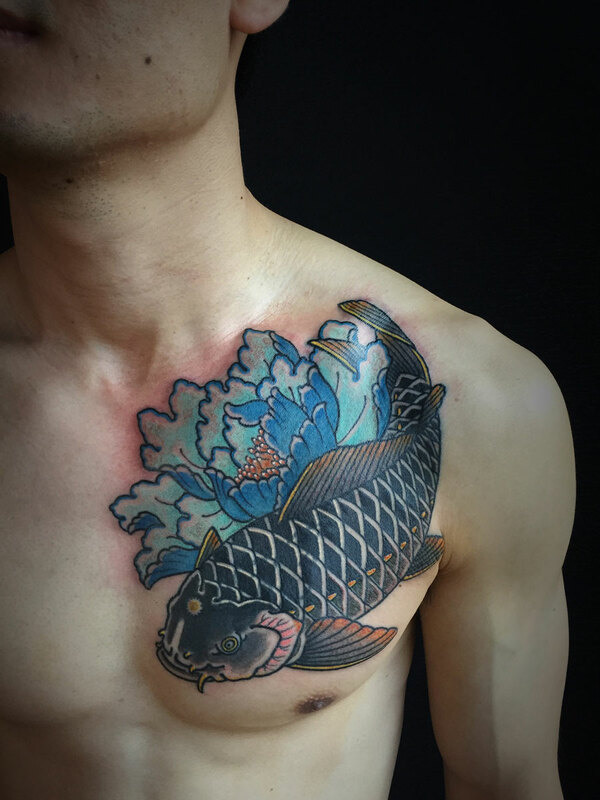 The common element in Enku’s work is a boldness and legibility in the design, drawing strong influence from the traditional Japanese imagery of his heritage. 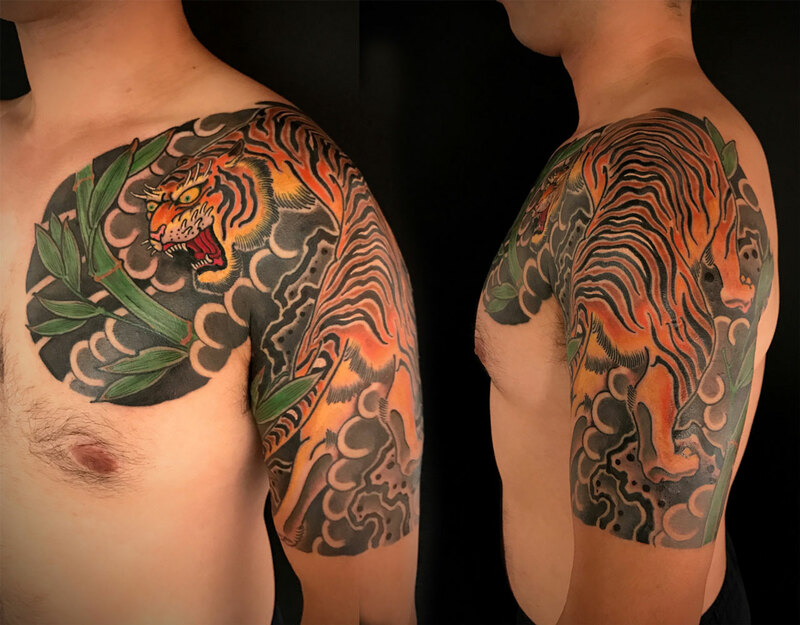 However, his background in dealing with clients in the design industry, and experience in street shops make hime quite versatile across different styles, and he is known for giving customers a positive experience.